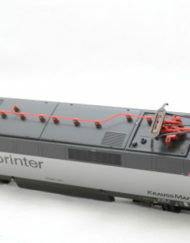 SKU: SARM180200. 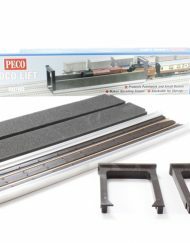 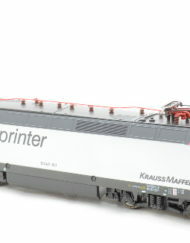 Category: Electric Locomotives. 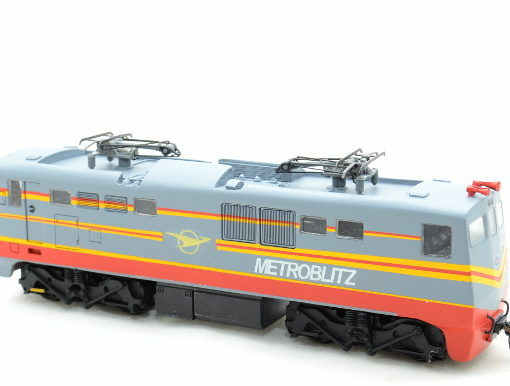 The Metroblitz train was a high speed train in South Africa that started service in 1984. 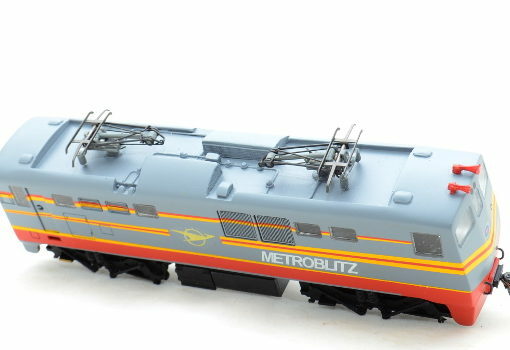 The Metroblitz would usually consist of two 12E electric locomotives and 8 coaches. 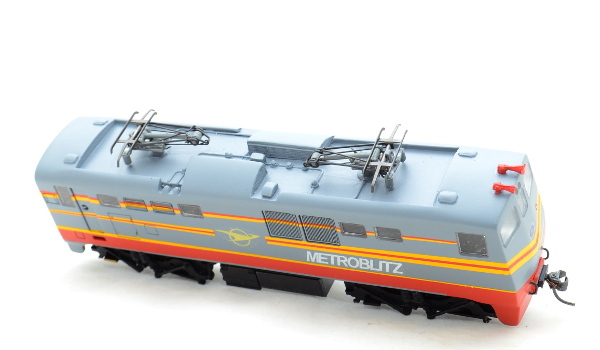 The Metroblitz was stopped due to poor cost recovery and disruption to other slower train services. 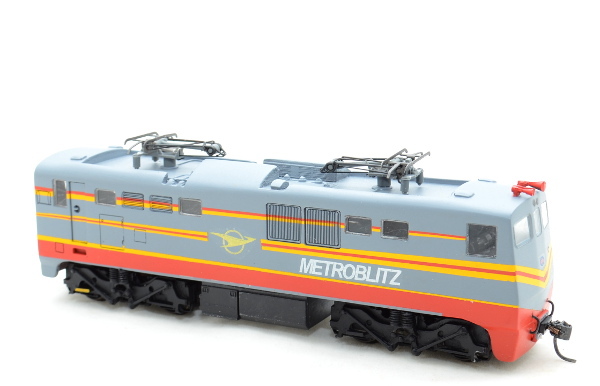 Description: 12E Metroblitz electric locomotive. 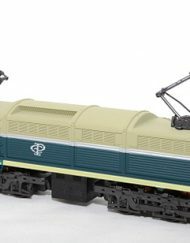 Chassis: Frateschi made chassis with double flywheel motor. 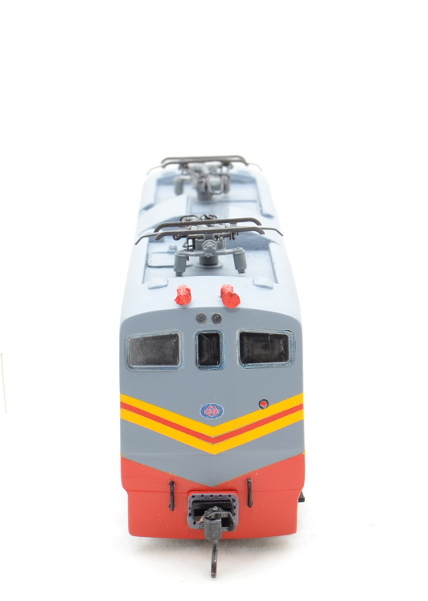 SAR Model Trains by SARM are manufactured in South Africa.